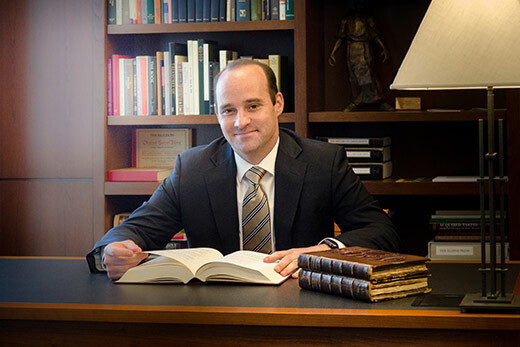 Richard Manly (“Bo”) Adams Jr. has been named director of Pitts Theology Library at Emory University’s Candler School of Theology and Margaret A. Pitts Assistant Professor in the Practice of Theological Bibliography. Richard Manly (“Bo”) Adams Jr. has been named director of Pitts Theology Library at Emory University’s Candler School of Theology, according to an announcement made by Jan Love, dean of Candler. Adams, who also has been named the Margaret A. Pitts Assistant Professor in the Practice of Theological Bibliography, succeeds M. Patrick Graham, who retired in August after 29 years at Pitts. Adams joined the Candler staff in 2011 as an instructional technologist. In 2013, he became Pitts’ systems and reference librarian, and in 2015 was named head of public services for the library. He has served as interim director of Pitts since September. Karen D. Scheib, associate professor of pastoral care and pastoral theology at Candler and chair of the librarian search committee, says that Adams’ knowledge of and dedication to Pitts stood out, as did his experience with technology. As part of the interview process, candidates were asked to make a presentation on an issue relevant to the future of Pitts Theology Library. Adams’ presentation contended that libraries are in danger of being cut out of the information supply chain in the digital age. He proposed that to reverse this process, the library must think in terms of “access to” rather than “ownership of.” Particularly in the digital age, he noted, librarians should place an emphasis on relationship building, and consider a broad definition of what a library patron looks like. A graduate of Dartmouth College, Adams received his master of theological studies degree from Candler and a master of theology from Columbia Theological Seminary. He earned his Ph.D. from Emory’s Laney Graduate School, with a focus on New Testament and early Christianity, and a master of library and information science from the University of Alabama. Adams has served as curator of two Pitts exhibits, and has played a significant role in developing the library’s digital collections. He has taught a range of courses, including introduction to the New Testament, research practices for theological inquiry, research methods: Jesus in/and history, and the arts of ministry in a digital age. He is a member of the Society for Biblical Literature, the American Theological Library Association, and the American Library Association, has presented at numerous conferences, and published multiple articles and reviews.